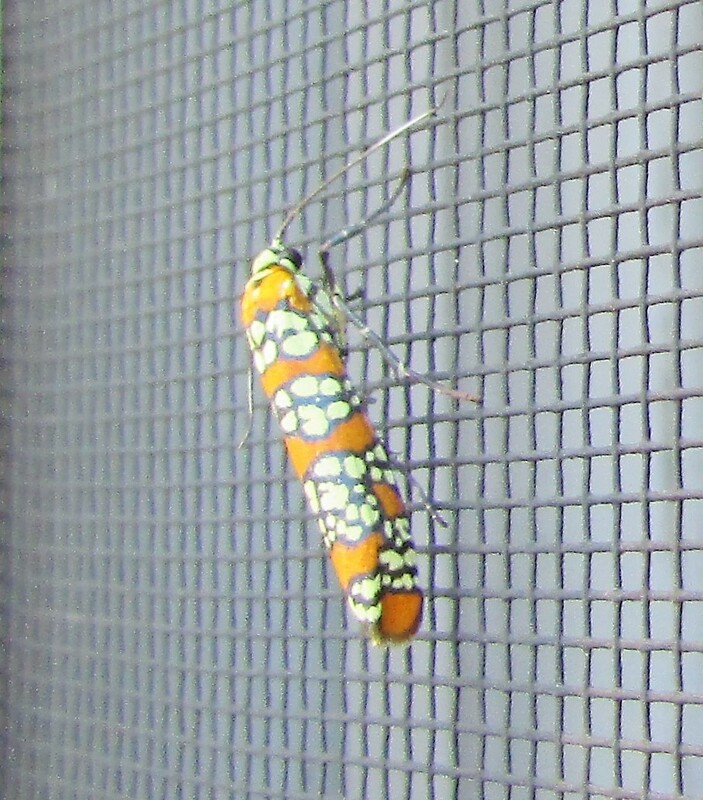 I spotted an Ailanthus Webworm today when I looked out my window at the morning sky. I love finding examples, such as this moth’s beautiful coloring, of God’s artistry in the world around me. The moth is out of his element, since he is a tropical moth. How has he survived the frosty temperatures? Perhaps the cold was my ally in getting a good photograph of him. 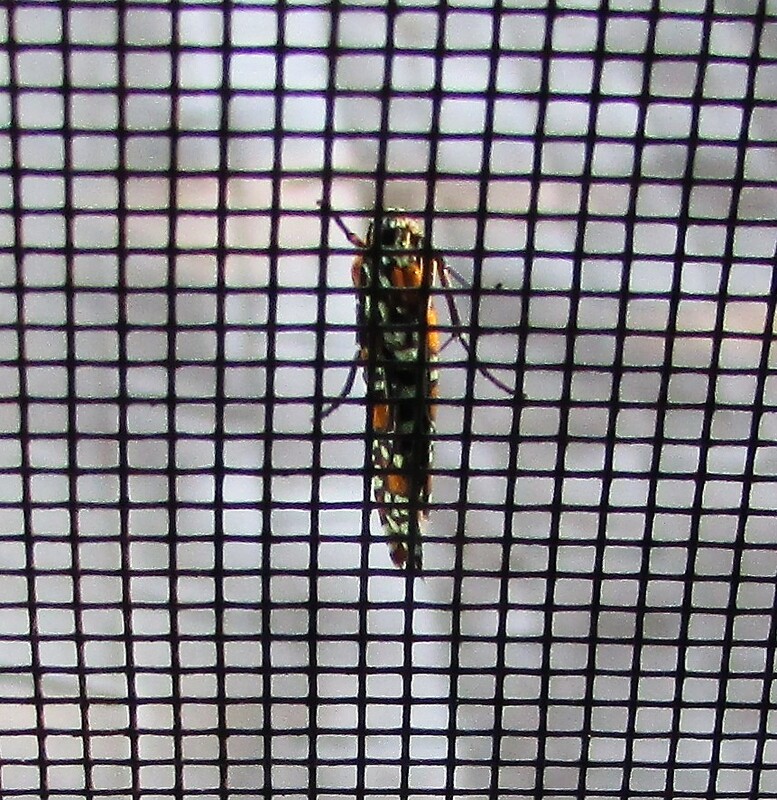 I gently raised the screen with the moth still on it, hung my hand and camera out the second story window, and snapped a photo. 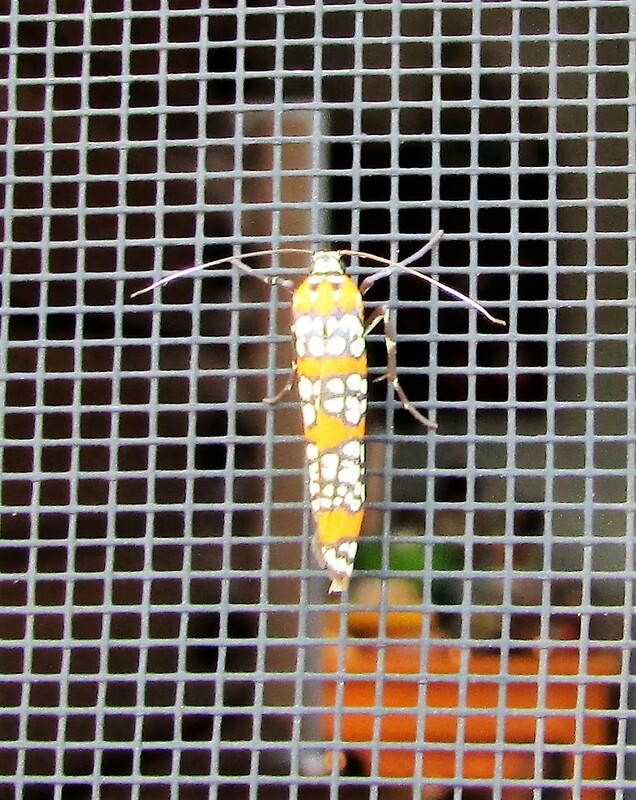 The tiny ailanthus webworm is thought to be native to South Florida and the American tropics (south to Costa Rica),which were the habitat of its original larval host plants: the paradise tree (Simarouba glauca) and Simarouba amara. This moth gets its name from the Ailanthus tree. First of all, is it still there ? Lovely photos and so much of care, from you on this small creature. Thank you for being such a conservationist. Hi Susie, I noticed it a few times through the morning, and now, the next morning at 6:40, it is gone. It flew away at some point—probably when the sun had warmed it up a bit. It is starting to get very cold here at night. Sunday is going to be a cold day. I don’t think it will snow for a while yet. I have heard though, that we might have a very snowy winter here in the Mid-Atlantic. But the truth is no one ever really knows until it is here. I hope you are able to see snow soon Susie!